There is rarely a correct answer when you write your college application essay. Whether you are to tell something about yourself, explain why you choose a certain college or university, answer an intriguing question, or answer an essay prompt. The purpose of a writing a college application essay is for academic institutions learn more about you other than your scholastic standing. You will be gauged on how well you can logically explain, defend, or narrate. This is an opportunity for you to make a first impression to the institution you are applying in. Most probably, you already have an experience in writing essays. You already know the key parts such as the introduction, thesis statement, body paragraphs, and conclusion. So, we’re not going to deal with that right now. Another important thing to consider is how you can make your essay stand out. Other than your scholastic achievement, one aspect to be considered in college admission processes is your personality. Your personality will give the academic institution an idea whether your values and perceptions align with the mission and vision of the college or university. Your personality should be visible in your writing. With this, do not limit the tone of your essay with monotonous, business-like, or robotic voice. 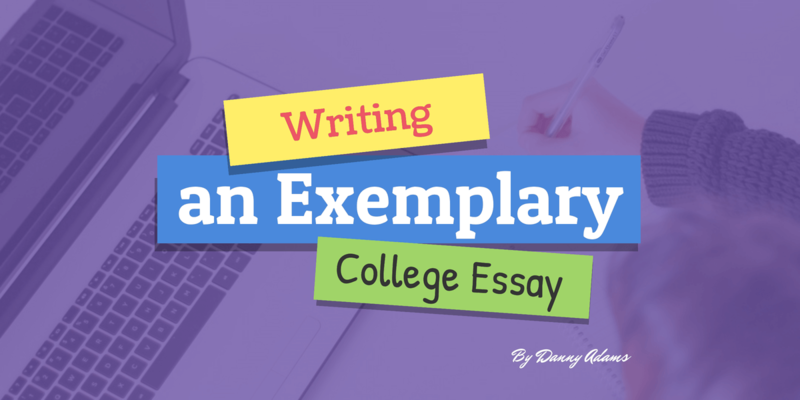 Your college application essay is the perfect moment to showcase who you are as a student and as a person. Hence, you should write with your own voice. However, avoid using slangs or colloquialisms. You should still maintain formality in your writing. Especially when being asked to tell something about you, we have the tendency to say whatever comes into our mind. However, the beauty of writing essays is that we can brainstorm, write an outline, organize, proofread, and revise. With this in mind, focus on a topic when writing your essay. You don’t have to explain every single detail about you. Pick a topic that will highlight your strengths and achievements and focus on that. Make sure that your essay is coherent, and your discussion should not go off-topic. In writing your college application essay, you should state a clear claim. This doesn’t mean that you should argue. However, if the essay prompt calls for it, then you should. Making a claim is having one clear point. Even if the essay question is as personal as the reason why the academic institution should accept you, you should have a claim. Answering this with as simple as “because I’m great” is already a claim in itself. The job here is for you to provide supporting evidence and logical explanations to defend your point. You aim to impress the readers of your college application essays, but you should stick to the truth. It doesn’t matter if you have never received any award or scholastic achievement. These are not the only ways to make an impression. If you do have achievements on your belt, then just subtly sell yourself. Just be yourself and be honest. Support your discussion with specific details. Use sensory descriptions as much as you can to illustrate your experiences and achievements. If you are answering an essay prompt, stick to the facts. Always keep in mind that your college application essay is a representation of you in words. The attributes we discussed can help you make your essay personalized and yet informative. Just be clear, concise, coherent, straightforward, and true, then it wouldn’t be too hard for your readers to consider your application. Danny Adams is a proud alumnus of University of Oregon with a degree in creative writing. With his writing finesse and knack for managing people, he co-founded essayhelp.io. Some of his published articles are aimed towards helping and providing opportunities for freelance writers. If his busy schedule permits, Danny indulges in golf or hockey.